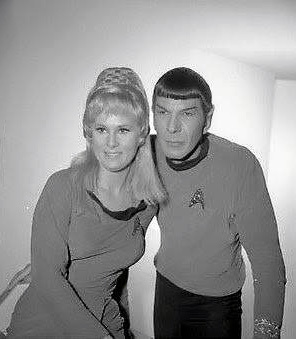 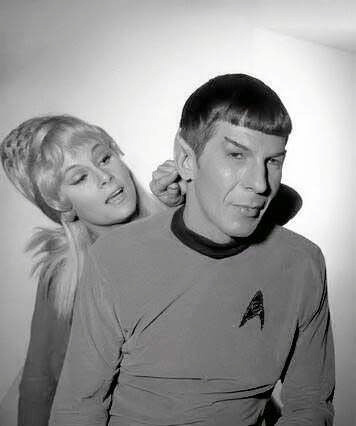 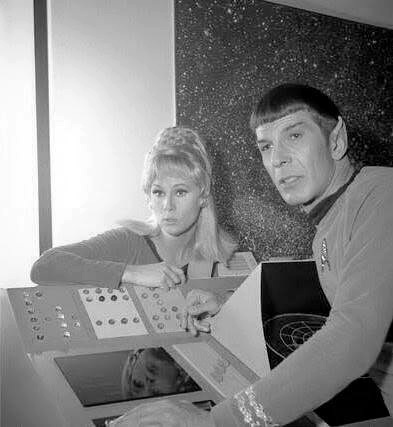 I’m a fool for original TOS Publicity Photos! 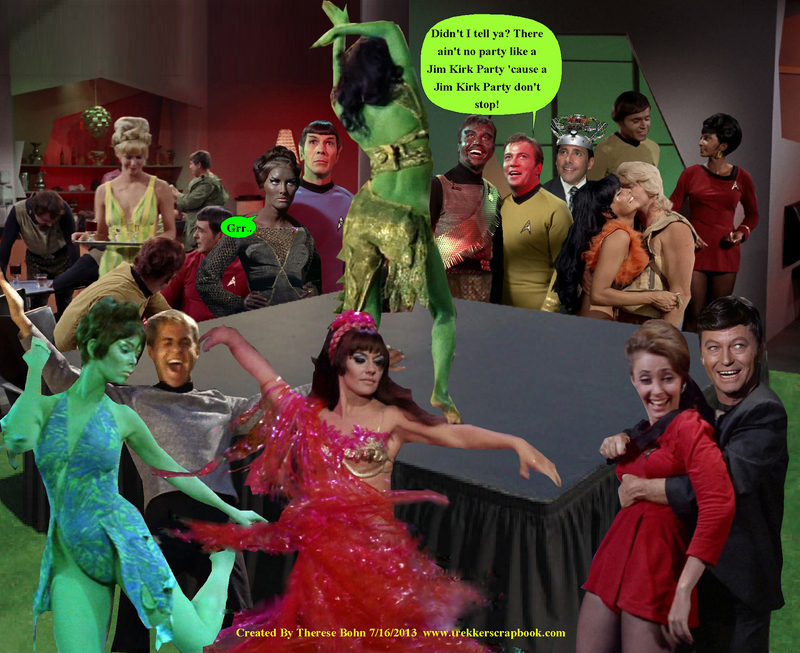 These are just GOLD! 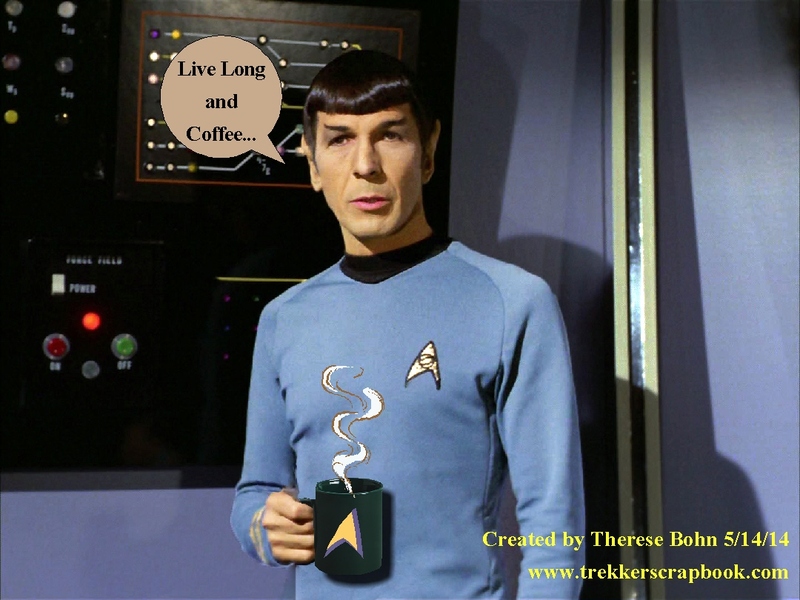 I just came across these from the site Addicted to Sci-Fi. 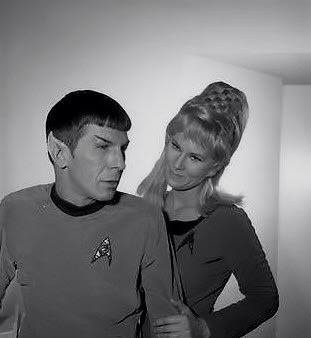 The funnything here is, of course, that Rand and Spock rarely had any scenes together (and were hardly this snuggly) on the series! 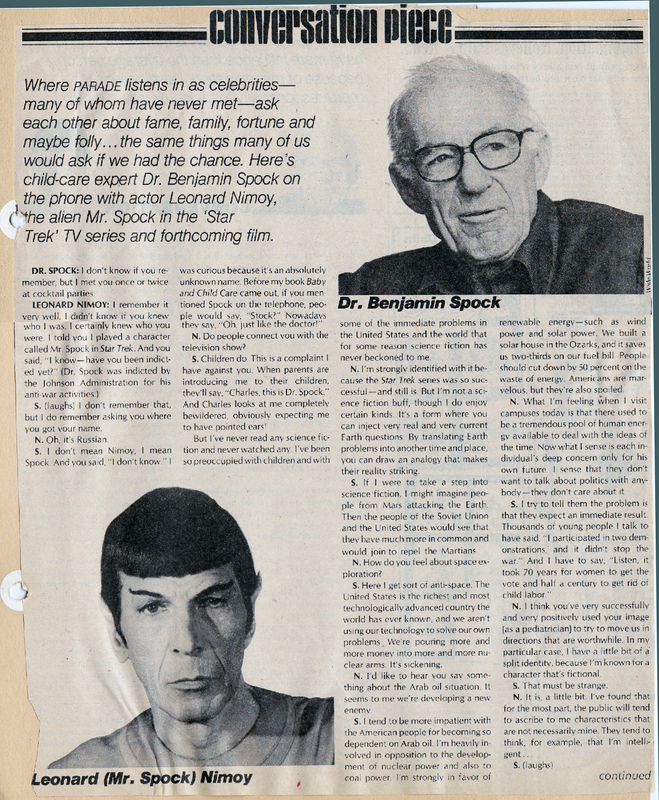 Here’s today’s flashback: From Parade Magazine in 1979, a rare and delightful conversation between renowned real-life pediatrician Dr. Benjamin Spock and Leonard Nimoy. 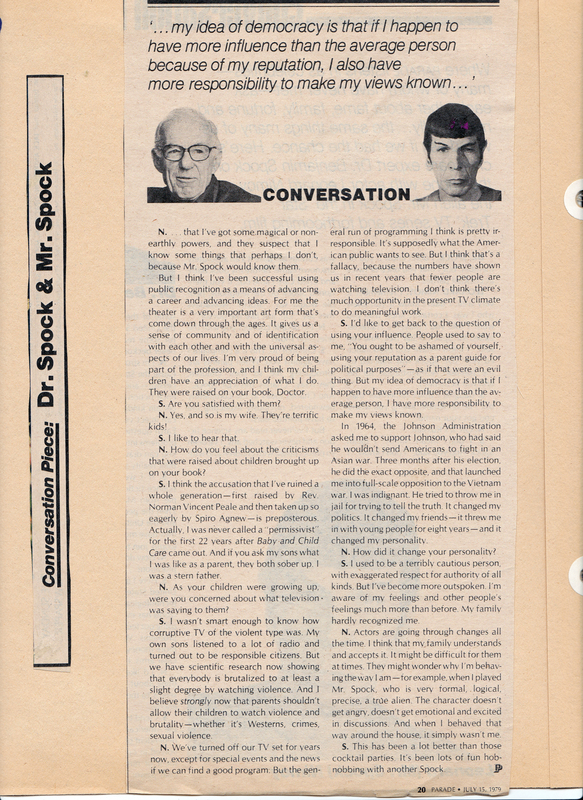 They discuss influence, politics, and the awful state of Television.